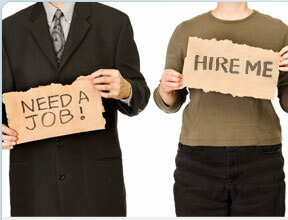 EMETemployment provides FREE confidential services to Jobseekers. Apply on-line to jobs posted on the website. IF YOU HAVE A RESUME IT IS IMPORTANT YOU ATTACH IT(Word Format): IF YOU DO NOT HAVE ONE WE WILL BE HAPPY TO HELP YOU CREATE ONE! The new Canadian Anti-Spam Legislation (CASL) requires your consent to receive emails from EMETemployment. When registering on our website you are providing consent to contact you. Additional services optional: Individual employment counselling, resume and cover letter preparation, interview skills coaching, re-training assistance and a variety of employment related workshops available. Already registered? Update your Profile? Click here to login.